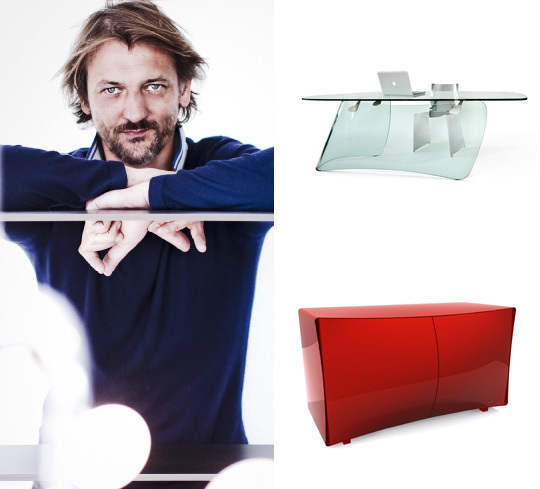 In 2000 Xavier Lust started his collaboration with leading international furniture producers such as MDF Italia, Driade, De Padova, CerrutiBaleri, Fiam, Extremis. His work is clearly identifiable through the visible tension he gives to his objects, and the curves inspired by his innovative (de)formation process of metallic surfaces. He has received dozens of awards including Compasso d'Oro.